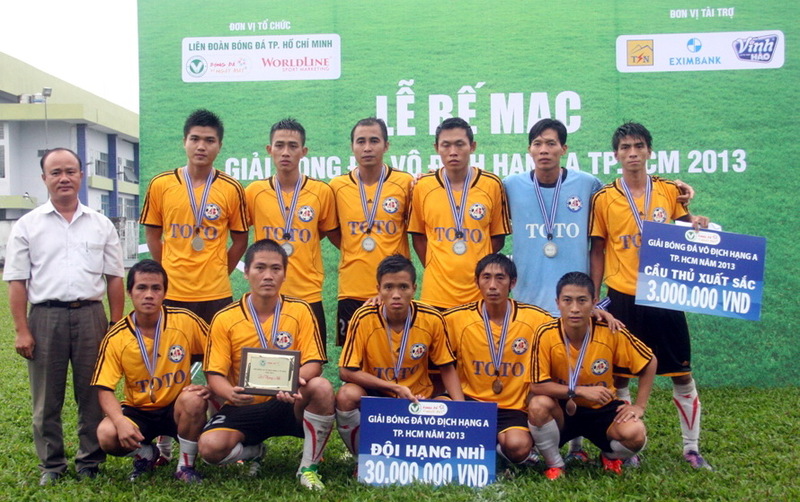 HffHCM City's FootballLeaguesEnd of Ho Chi Minh City League 2013: Thai Son Nam Dist.8 claims the champions title. 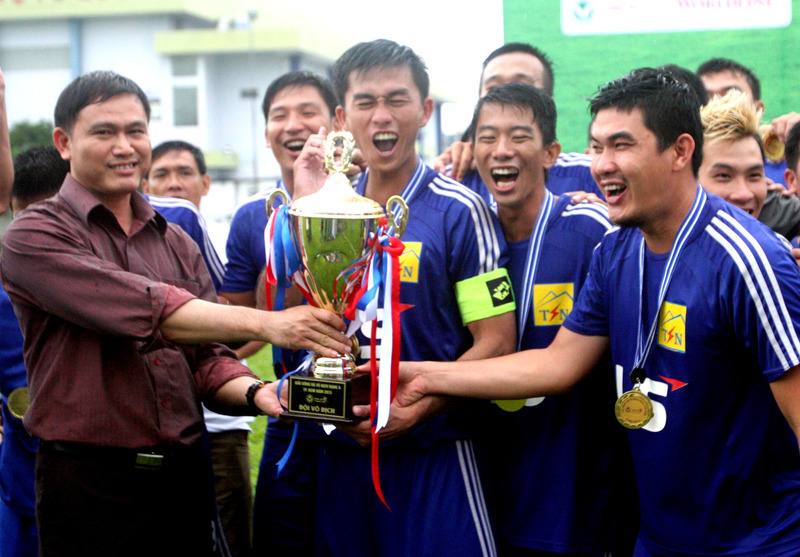 End of Ho Chi Minh City League 2013: Thai Son Nam Dist.8 claims the champions title. After more than 2 months, Ho Chi Minh City League 2013 has officially ended when the championships belonged to Thai Son Nam dist.8 club after defeating An Bien Toto 2-1. An Bien Toto surprisingly sped up in the last three rounds of this tournament by 3 consecutive wins. 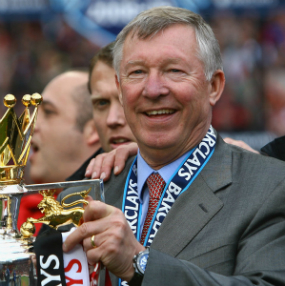 This result helped An Bien Toto passing Thai Son Nam and winning the No.1 position in the table. Therefore, in the finals game, Thai Son Nam dist.8 had to win 3 points against An Bien Toto to win the champion title. Playing at home made Boss Tran Anh Tu’s team play confidently. Thai Son Nam totally overwhelmed An Bien in the first half. In 13th minute, from teamates’ creating chance, Tien Phat shot accurately and opened 1-0 for Thai Son Nam dist.8. 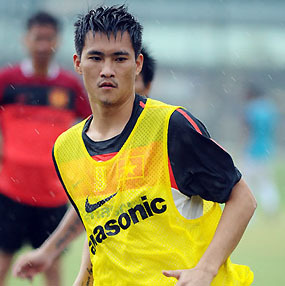 The early goal made Thai Son Nam play more comfortably. Therefore, the second goal from Minh Tuan is understandable. 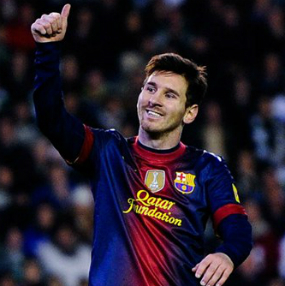 Being leading 2-0 in 1st half, entering the second half, An Bien Toto raised squad highly to find equalizing. In 50th minute, the hosts’ defender touch hand in the penalty area, Tan Vuong took this chance to shorten the score to 1-2 for An Bien. This is also the final result of this game, gaining 3 points Thai Son Nam officially claimed the champion title of Ho Chi Minh City League 2013. Thai Son Nam received 50 million VND from organizers, An Bien Toto and FC Chi Thanh respectively received 30 and 20 million VND. Nk HCMC is rewarded for playing style. In individual field, Nguyen Hoang Tan Vuong (9- An Bien) is the best player, the best goal keeper title belongs to Thai Son Nam’s goal keeper, Doan Nhat Nguyen received title of plex lagoon king.